Ballpoint pen with black ink. 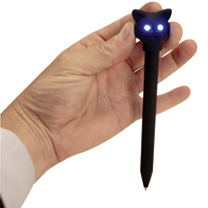 Eyes light up and "meows" when head is pushed down. Pen with light up eyes and meows!